Soffit & Fascia – WSR Construction Inc.
We are proud to say that not like the most Soffit & Fascia installation companies, we do not advertise one brand, one logo, one feature. We work with all of the soffit & fascia replacement brands to fit the customer’s need the best. Over the years of experience, we have noticed and identified a number of features for each type or brand and today we can proudly give you the best opinion being independent from any manufacturer. 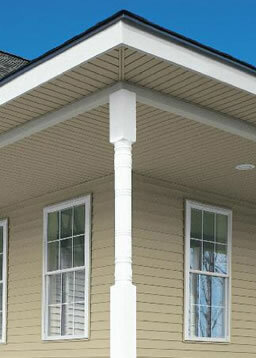 Soffit, Fascia and Trim are the vital elements of the overall appearance of the home and structural integrity. Quality soffit can improve the appearance of your exterior, but its most important job is protecting your home. Without proper ventilation, moisture gets trapped inside your home. 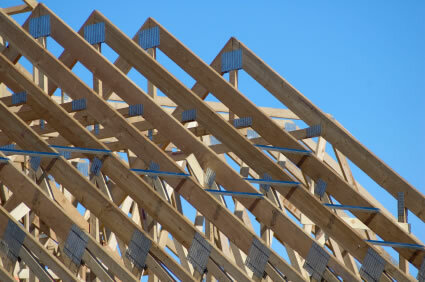 This can create interior rot and damage roofing components. Also, your attic can become like an oven, literally baking your roof, damaging the deck and shingles, and adding to your home cooling costs. This is the reason why every home needs to breath. The exposure profile of the soffit (from wall to fascia) on the exterior of the building can vary from a few centimetres (2-3 inches) to well beyond a meter (3 feet) depending on the construction. It can be non-ventilated or ventilated for cooling non-livable attic space. Fascia is the exterior edge of the overhang of the roof. It covers up the sub fascia or sub band around the edge of a roof. It prevents water and moisture from entering through the soffit. Soffit and Fascia combined form a watertight seal around the lower part of the roof and allows proper venting. Water damage can cause all kinds of problems for your home, but you can help prevent it if you buy the right type of fascia. While all types of fascia can function equally well, maintenance and cosmetic differences can help guide your decision. Aluminum, vinyl and wood. Aluminum and vinyl are some of the cheaper types of soffit and fascia and require the least amount of maintenance, while wood is the most aesthetically pleasing.